These are Majic Kennels up and coming young dogs. 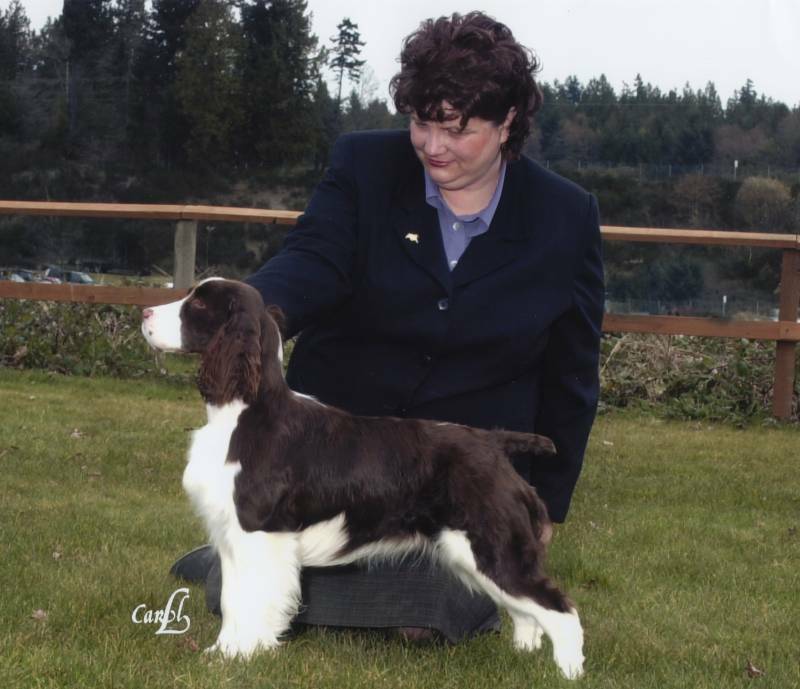 Trouble had almost minored out from the puppy classes when she was pulled from the show scene. Now that she is returned to us, we will beging showing her once she is back in shape. Katelyn has also used him in 4H and won Grand Champion with him. Tully is OFA "Good" and eyes are clear. This is a charming, well mannered dog. He is always a delight to have along.Tully has now been neutered and will become a well loved household pet with Katelyns retired parents, while Katelyn goes to college. Riley is Tully's full brother. He belongs to a nice family who decided to start showing him. 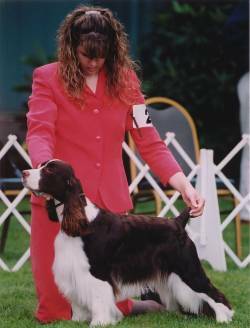 This young dog showed great promise, and went onto have amazing success in the ring. He aquired 3 majors, one a Specialty win! NEWS FLASH! Riley has achieved his Championship with 3 majors and one of those a Specialty major won at the Puget Sound E.S.S. 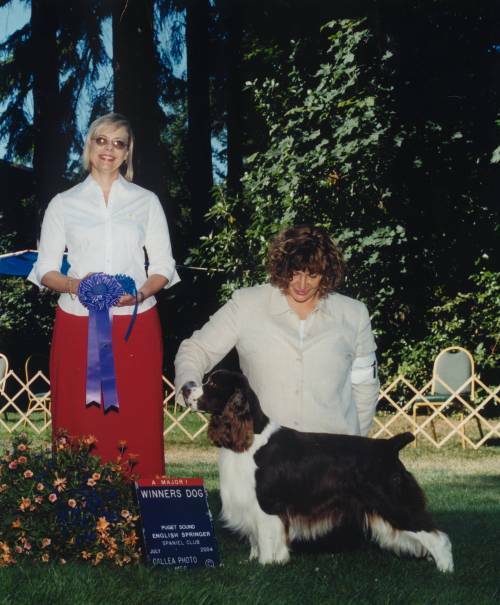 show, August, 2004. He will be available for stud.